The 12th edition of the world’s largest literary festival, ‘Jaipur Literature Festival’ will be held from 24 to 28 January 2019 at Diggi Palace in Jaipur. 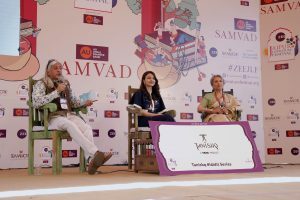 According to festival organisers, around 250 speakers are expected to attend the 2019 edition of the literary festival. The speakers were unveiled via an online engagement with literature enthusiasts guessing the names of the speakers based on clues shared under the hashtag #30Speakers30Hours. 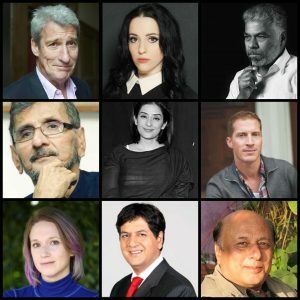 The first list of authors includes Alexander McCall Smith, Amin Jaffer, André Aciman, Andrew Sean Greer, Anish Kapoor, Anuradha Roy, Chitra Banerjee Divakaruni, Colson Whitehead, Donna Zuckerberg, Germaine Greer, Hari Kunzru, Jeremy Paxman, Jon Lee Anderson, Juergen Boos, Manisha Koirala, Marc Quinn, Markus Zusak, Molly Crabapple, N.S. Madhavan, Narendra Kohli, NoViolet Bulawayo, Perumal Murugan, Priyamvada Natarajan, Rom Whitaker, Rupert Everett, Simon Sebag Montefiore, Tawfiq E. Chowdhury, Uday Prakash, Upamanyu Chatterjee and Vikram Chandra. Online registration for the Festival is mandatory and attendees can register via the Festival website. Visitors can also buy Delegate Packages to experience the Festival’s magic, while mingling with authors, interacting with industry players, relaxing in the Delegate Lounge, and enjoying the Jaipur Music Stage and Heritage Evenings. Twenty something. Aries. Single and Fabulous. Loves Shopping. Has an unhealthy adoration for all things make up and beauty related. Believes that red lipstick can bring about world peace. Never thought good eyebrows would have so much power.